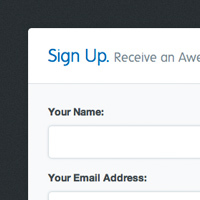 The landing page template that will help visitors buy your product. Your customers can connect with you using a fully functional AJAX contact form with CAPTCHA and Twitter Notification support. The forms are built in such a way that implementing a sign-up form will be a breeze. Display your product’s pricing plan using the beautifully designed pricing table. You can have as many columns as you want and customizing it is a walk in the park. The well-placed call-to-action buttons make it very easy for customers to buy your product or sign up for your services. Easily organize your content in tabs and create product tours. Also, you can link to a tab from anywhere in the page. 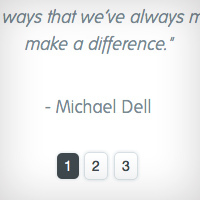 Show the world what your customers think about your products by adding their testimonials. It literally takes seconds. Built with SEO in mind from the start, it’s a breeze to optimize your website for search engines. Bottom Line uses CSS sprites, so the page loading time has been severely reduced. A rock-solid landing page needs a rock-solid platform, that’s why this has the great functionality of the Twitter Bootstrap framework. You don’t need Photoshop to customize anything on the website. All the editable bits are generated by CSS, so all you have to do it change some text. View your website on a PC, tablet or mobile phone. It’s gonna look great everywhere without compromising the functionality. Additionally, when viewed on a larger display, the layout will stretch up to 1200px offering more room for your content. Compatible with the latest versions of Firefox, Chrome, Safari, Opera and Internet Explorer 8 and above. These can be customized of course. For example, you can add an image to the left of the headings, like you can see on the top of this very page. The header with the pricing box is great when you wanna showcase your product and give the user immediate information on the price and the option to buy it. The one with video allows you to show any kind of embeddable footage on the homepage. You can use it either for a nice video presentation of your product or a tour of your facilities, presentation of your team, etc. The options are limitless. The sign-up form template is really useful when you wanna get new leads and collect information from your possible customers. 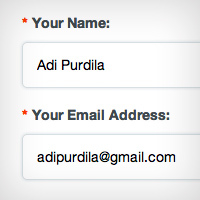 By default, the form collects the name and email address, but you can add as many fields as you want. Also, the form is compatible with MailChimp, Campaign Monitor and it can be adapted to any kind of email marketing software. The large image template allows you to show a screenshot of you application or a large image of your product. The navigation points to various sections in the page and it is generated automatically based on these sections. So, for example, if you add a pricing table and a testimonial to the page, the links for those two sections are automatically generated so you can focus more on writing good content instead of coding navigation every time you add something new. A great feature is the sticky nav. 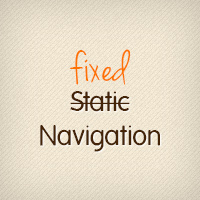 If you scroll past it, it will automatically change styles, becoming a fixed navigation instead of static. That means, it will always stick to the top of the page when you scroll past it’s original position. As an bonus, when it becomes fixed it adds a call-to-action on the right side so wherever the user’s attention is, he will always have the option to buy your product or sign-up or whatever it is you’re trying to achieve through the landing page. You can change the text and point that button at anything you want. This allows you to create a list of the most important features of your product or service. Using beautiful, big and bold icons, you have the perfect tools to create a great first impression on the visitors. You can add as much or as little text you wish and there are tons of beautifully designed icons out there that will help you complement that text with imagery. I even provided links to two sets of free icons that you can use in your own project (you can see some of the icons in this very page, just scroll to the Features section). If you don't like the two-column layout you can opt for three, four or six columns. This feature speaks for itself. You can create presentations, product tours, image galleries, etc. I’m using this feature to create the tour you’re reading right now. Adding your own content is very easy. You just need to add a link to your new slide (or tab, you can call it anyway you want), give it a name, then create the actual content for that slide. You can put images, text, buttons and you can even link to other slides from within a slide, how cool is that? Oh, do you see the navigation above each slide? It's created automatically for you. Tabs are really useful when presenting large amounts of information in a tight space. Just like the product tour feature, adding and customizing your tabs is very straightforward, . You simply add a link, name it and create the content. The tabs also support linking from other tabs and even from external links (for example, you can open a specific tab by clicking the “Buy Now” button in the header). This is also true for the product tour since they’re based on the same system. This is a really useful feature. Maybe you have different pricing plans for your services or multiple prices for your product. 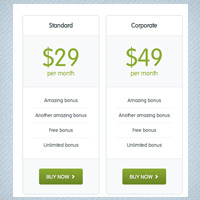 Regardless, you now have a nice pricing table template to work with. You can add 4 columns to it or you can add 2... or 3, or 6. It’s very flexible and it really easy to use. If you need to highlight one of the columns you can easily do that by adding a class name. This will change the background color and make everything pop and grab the user’s attention. 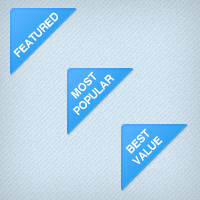 If you want, you can also add 3 distinct badges on the highlighted column: Best Value, Most Popular and Featured. The PSD files for these are also provided so you can easily create your own if you wish. Every good product or service that sells should have some testimonials on it’s presentation page. Adding them is a breeze. Simply create a new one and the template takes care of the rest of you by adding an extra number on the testimonial navigation. This is a very lightweight form that uses AJAX. 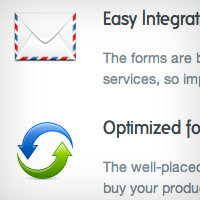 This means there are no page reloads, which saves you bandwidth and makes your page faster than traditional forms. It supports validation, CAPTCHA (so you’ll be safe from those annoying spam emails) and Twitter Notification (this sends you a Direct Message whenever someone contacts you). It also sends you email, of course. The Twitter Notification option can be turned off. You can have any kind of content in the tabs. You can even get some images inside the tabs and play around with the alignment. "It’s through curiosity and looking at opportunities in new ways that we’ve always mapped our path at Dell. There’s always an opportunity to make a difference." "The expectations of life depend upon diligence; the mechanic that would perfect his work must first sharpen his tools." "You must either modify your dreams or magnify your skills." Alternatively, you can connect with us using the social networks. Stay up to date with this product by subscribing to the newsletter. © 2012 Imaginary Product. All rights reserved. 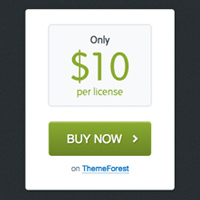 This uses the Bottom Line landing page template by Adi Purdila.